Christmas is upon us and there's still plenty of season left to ply your trade in your Sunday best football boots. 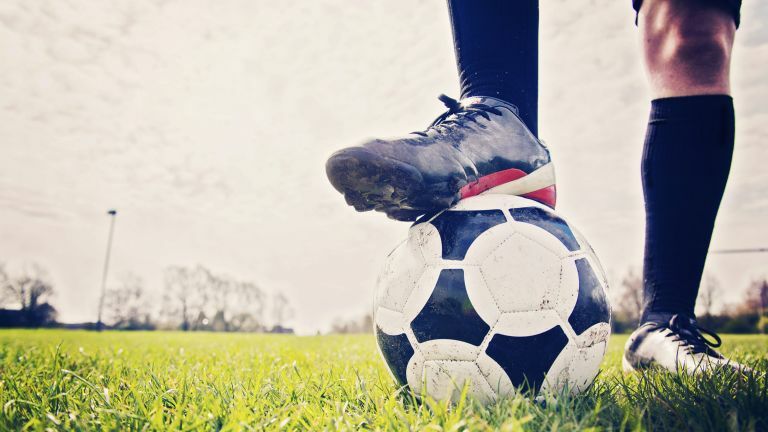 If you're finding your 10-year-old Umbros from JD Sports are making you look slow and unwieldy – heaven forbid – we have the solution: the best football boots to buy in what the footie world likes to call '2018-19'. We've got the pick of the studs whether you're a midfield general, tricky winger, 'fox in the box' striker or artisanal back-line clogger. We don't have anything for goalies, however, because they are all 'mad'. What is the best football boot? That is near impossible to answer, due to the endless varieties of playing style and playing conditions out there in kicky-ball-o-land. However, for the healthy infusion of modern tech, and the ridiculousness of a design that’s barely recognisable compared to the boots 20 years ago, we have to admit we’re rather partial to the new Adidas Nemezis 18+. The options here range from solid, mid-range boots to wild flights of footwear tech fancy. Don't forget to carefully choose between the various options that most of them offer with, for instance, variants for hard and soft ground. You should also probably be realistic about your skills. Having a boot that's super-light and offers next to no protection is not a great idea if you're not as fleet of foot as you once were. On the other hand, having a super-flash set of boots can give you added confidence and a better first touch, if you're not completely hopeless in the first place. You will find a wide variety of prices for some of the boots below, due to a quirk of how our retail partners work. Particularly at large online shops like Amazon, stocks of last year's version of all the major boots remain on sale – and sometimes from years before that, too. Any time Nike unveils a completely new boot, there’s genuine cause for excitement. It usually means the debut of never-before-seen innovations and developments that’ll slowly trickle down into other ranges. That’s certainly the case with the Phantom VSN. The boot has been designed from the inside out with a brand new proprietary construction, Nike says. "We developed an internal Quadfit mesh bootie that conforms to fit most any foot, but retains its shape and will not overstretch,” says designer Phil Woodman. This negates the need for the boot, which will be worn by World Cup standouts Kevin De Bruyne and Philippe Coutinho, to be broken in. After working with players in the lab, Nike is also introducing a new ghost lacing system, which offers one-pull construction, creating equal torsion throughout the foot. Those laces are hidden behind a the FlyKnit upper to create an even striking surface. The boot of choice for Jesus and Mohamed… who are we to argue? After debuting the boot at the World Cup back in summer, top strikers like Mo Salah, Luis Suarez and Manchester City’s Gabriel Jesus have entrusted their goal-scoring fortunes to the Adidas X18+ for the 2018/19 domestic season. New and improved for 2018/19, the X18+ has been described as the spiritual successor to the beloved F50. Adidas is packing in its Speedframe tech, which is designed to lock the foot in place during acceleration, while the new ultra-soft Skeletal Weave upper promises deft control without restricting foot movements. The X18+ now offers a completely laceless design and an elasticated strike zone promising a cleaner strike. It’s accompanied by the Claw Collar technology providing a low-cut stretch material that also offers a skin-tight fit. As a speed boot, tak-off and acceleration is boosted by the arrowhead-shaped studs. Three of the three of world football’s deadliest attackers are already using this boot to devastating effect. Does our endorsement even matter? The latest version of the high-cut Mercurial SuperFly – the footwear of choice for one Cristiano Ronaldo – offers a brand new 360 construction that finally enables the Flyknit technology to wrap around the entire foot. “This new innovation hugs the foot and eliminates the gaps between the foot and the soleplate. In fact, it eliminates the soleplate altogether,” says Nike’s Max Blau. The company says this innovation also enables the sockliner to interlock with an internal chassis, promising maximum responsiveness. The 2018/19 version of the classic boot also promises an aggressive forefoot for acceleration and quick-stop heel studs that’ll help you backtrack towards that misplaced pass. Overall, Nike says this makes the sole more like a claw than a hoof. Nike has also managed to embed the All Conditions Control (ACC) tech within the threads prior to knitting. This eliminates the additional skin without compromising that protection against the elements. The 360 tech and other innovations are also available on the lower-cut Mercurial Vapor 360 boot, and will spread across the company’s shoes for other sports. The Mercurial boot might be Nike’s most popular legacy boot, but we’ve had a soft spot for the Adidas Predator range since Australian Craig Johnson unveiled the crocodile-inspired boots way back in 1994. As we approach the 25th anniversary of the beastly boot, those imposing rubber spikes are more of a gentle wave, but the range is still unmistakable. The Team Mode iteration of the Predator 18+ promises Purecut laces for a bigger striking area, while there’s also a Primeknit collar for comfort and support. The German sportswear giant is adding a full-length Boost midsole for energy return, while an anatomical upper locks the heel in place. The 18+ editions are less focused on that that classic Predator power, adding a little more focus on control. Most importantly for footy fashionistas, that classic red and white colourway is back. Now you can finally let go of the time you begged your parents for Predators, only for them to insist those £30 Umbros were just as good. We bet even Paul Pogba, Mesut Ozil, Ivan Rakitic and Dele Alli, who’ll be rocking the 18+ this season, felt this way. The most customisable football boots ever? We haven’t seen a ‘Shocking Orange’ in football since that time Paul Scholes’ shorts were accidentally pulled to one side. Why can’t we wipe it from our minds! Anyway, the aptly named shade of the new Puma’s Future 2.1 boots grace the feet of World Cup hero Antoine Griezmann, as well as the likes of Adam Lallana and Marco Arnautovic in the Premier League. Beyond the colourway, the boot improves the Netfit concept, which enables players to lace their boots any way they see fit. As laces disappear from many of the top boots, this will please players seeking that ultra-personalised fit. Naturally, there’s concern about the hexagonal holes ripping, but in our experience it’s as durable as regular lace holes. Inside the boot, there’s an evoKNIT sock for a fit that’s both tight and comfortable and aims to streamline the connection between foot and boot. The boots offer a combination of blades and conical studs for added traction. Of course, there’s the classic Puma logo on the heel, adding to that striking design. -White with black dots? Are we footballers or dalmations? As the name would suggest, the fourth-generation Velocita is built for speed. The 'UFO' (Unbelievably Fast Objects) tagline is backed up by the new Sprint+ outsole. Fashioned from a lightweight pebax material, it offers conical and shaped studs for greater traction when moving at pace. Umbro says the boots have been designed with the natural movements of the foot in mind. A unique tri-layer upper promises balance, support and flexibility, while Umbro has also revamped the inner sock to provide an improved ankle fit. The black/white/acid lime colourway won’t suit everyone, but that double diamond logo has a deliciously retro feel. Unfortunately for Umbro, it only has Michail Antonio as the poster boy for the boots, if that matters to you in any way. Amid a host of new boots promising a massive array of scientifically engineered materials, there’s something satisfying about a boot still fashioned from good, old-fashioned animal hide. Unless you’re vegan. The speed-focused Furon boot continues to mature, and the fourth-generation model remains very much a striker's boot. The kangaroo leather toe box promises a superior ball feel and supple touch, while the directional stud combination promises traction and acceleration on those early/late-season hard pitches. Meanwhile, the FantomFit frame technology offers lightweight mechanical lockdown and the high laces afford a larger striking area. The Furon 4.0 is being worn by Sadio Mané this season, after New Balance signed the speedy Liverpool and Senegal striker prior to the World Cup. From Mané to his Liverpool teammate Roberto Firmino, the parade of footwear at Anfield this season could outstrip the striking talent. The Brazilian’s boot of choice is the Adidas Nemeziz 18+, which also arrives in a new blue and white Team Pack colourway for the 2018/19 season. The second-generation boot is a massive improvement on the first Nemeziz is designed with the game’s most agile players in mind. The aptly-named Agility Bandage tech is inspired by sports taping and stretches in one direction, but locks in the other. Adidas says it offers support, plus complete flexibility. The laceless boot has a new asymmetrical collar that offers a slightly tighter fit and boosts support. The update offers a narrower, more locked-in fit with padding all around the upper, which means you won’t experience any sting when you put your… erm… not laces through the ball. The AgilityKnit 2.0 toe box also arrives delivers an interlocking yarn structure contributes to a soft direct touch and a lightweight overall feel. Not so keen on the look of ultra-contemporary footie boots like the Superfly V? With this handcrafted Italian leather boot, you could grace the San Siro and strut the catwalks of Milan after the game. As well as suavity, the old-school design offers a fold-over tongue (held in place by a leather strap), which is designed to lessen ball contact with the laces. The all-black, premium 'K leather' used is also a magnificent throwback. History lesson: the boot is named after the company’s founder Emidio Lazzarino, with the family legacy of shoemaking dating back to 1886. Over the years the leather has been sported by legends including Cruyff, Puskas, Klinsmann, Mancini and much beloved 'eccentric', Paolo Di Canio. In the firm’s heyday, Matchmakers clothed the magic feet of George Best and Kevin Keegan. Now it's making a comeback with the new Heirship Seventeen boot. Constructed from a lightweight super soft Japanese super microfiber upper, they’re fitted with a 3D texture that’s designed to enable better ball control, whether it’s an August Saturday at the Emirates or a rainy Tuesday night in Burnley. The firm says its ‘Oxcited’ insole tech will condense impact while keeping everything nice and ventilated on the inside. The boots are far from cheap, but the company promises “you’re stepping into years of expertise and thousands of hours of powerful, expert research into sport science.” Also they’re black, the way football boots should be.